Nokia, India’s leading phone maker today launched there cheapest 3G handset Nokia 2730c with the price tag of Rs. 4499/-. 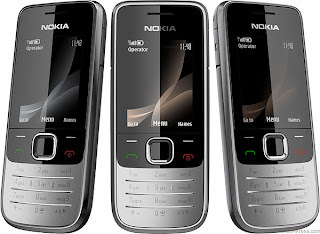 Now Nokia 2730 classic completely equipped with 3G facility to be fast access in browsing and integrated with opera mini browser, Bluetooth stereo, 2 mega-pixel camera, Flash Lite 3.0, 2" QVGA display, USB 2.0, Bluetooth 2.0 +EDR, MP3 player, 3.5 mm AV connector and MIDP Java 2.1 with additional Java APIs. Nokia 2730 Classic available in 2 different colours black and dark magenta.